APRIL FOOL’S! 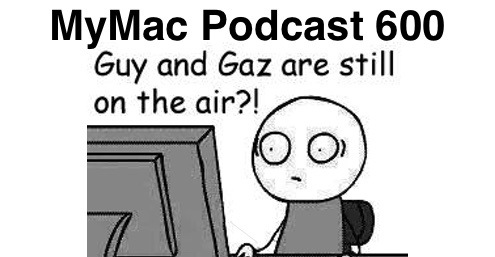 No really, those two April fools Gaz and Guy record the 600th MyMac Podcast and the whole center section is devoted to two very detailed emails from Serene Asassin. Plus hijinks and general tomfoolery AND (wait for it) a deeply enlightened and well written piece of drama at the very end. Sure, let’s go with that answer. Guy’s App Pick: Well haven’t picked one of these for awhile so it’s Stupid Zombies by Game Resort. Free with in app purchases for Air Strikes to wipe out that last pesky undead creature. It’s free to use the basic version, but to be honest that gives you all you need unless you need to get really clever in which case there are two options one at €29 or €49 a year. The link I’ve sent takes you directly to the costs page which also shows you thew difference to a paid version.